Lithol Rubine (PR57:1) is a deep transparent red dye, generally slightly bluish, that is laked as a salt with sodium or calcium to form a pigment. PR57 is the sodium salt, and has a more bluish tone. PR57:1 is the calcium salt, and is the most widely used. Lithol Rubine makes clean pinks when tinted. Sources vary greatly in hue and transparency. Lithol Rubine has high tinting strength. Lightfastness is considered only fair to good. Superior products are available when lightfastness is paramount. Where greater lightfastness is needed in process color printing, the more expensive pigment PR184, a Naphthol AS pigment, is often substituted for Lithol Rubine. Lithol Rubine is not considered toxic. It is used in food, drugs, and cosmetics. 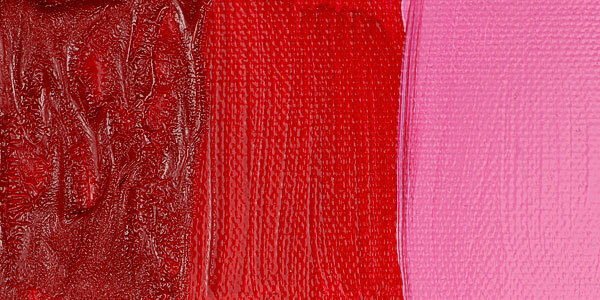 Pink lipstick is often manufactured with pigment PR57:1. Lithol Rubine can be used in art materials intended for children. Lithol Rubine pigments (especially the calcium salt PR57:1) are widely used in inks, paints, plastics, and textiles. Lithol Rubine is widely used as magenta in process color printing. 4B Toner, Pigment PR57:1 is also known as D&C Red No 7, Ruby Red, Brilliant Carmine.